Megan Curren hasn't added a story. Please join with us to help the most vulnerable individuals and families on the North Shore. We invite you to support our work to bring life-changing programs to those needing 'a hand up'. Help change lives. Close to home. By making a donation now, you can 'adopt a family' - for their first visit to Harvest Project, for a season full of hope, or with a year-long sponsorship. We welcome one-time gifts as well as recurring gifts, as every one will make for real change for a neighbour in-need. Thanks to you and other generous neighbours, Harvest Project can continue to provide help that will empower each family to get back on their feet. Together, we can bring hope and change to those in need. Megan Curren hasn't posted any updates yet. Harvest Project is managing the funds for this campaign. 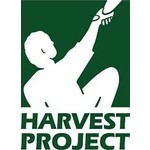 Harvest Project is a verified organization.